The Children’s Hospital Research Institute of Manitoba is proud to be hosting the 15th Annual Child Health Research Days (CHRD). This year’s theme is Navigating the Information Avalanche. CHRD is an exciting and unique event focused on innovative child health research happening in Manitoba, Canada, and around the world. Attendees will have the opportunity to hear from internationally acclaimed speakers on a range of pertinent topics; network and collaborate with fellow researchers; participate in workshops and discussion sessions; and learn about exciting advancements in the future of child health from our trainees. This year, CHRD will be held at the beautiful RBC Convention Centre in the heart of downtown Winnipeg. CHRD provides a stimulating educational environment for both researchers and trainees, with opportunities for trainees to participate in poster sessions and the Dr. GoodBear’s Den oral competition. The second evening of CHRD is open to the general public, and this year will feature internationally renowned public speaker, Timothy Caulfield. Click here for more information. We’ve all been there – you’re experiencing a strange or concerning health symptom and turn to the internet for answers, only to be bombarded with confusing information from countless different sources. Before you know it, you’ve convinced yourself of the worst case scenario without ever having seen or spoken to a health care professional. Or maybe you’re a scientist looking for more information on a new research topic, but find yourself sifting through an avalanche of sites and journals – many of which could potentially be predatory journals, which do not conduct rigorous peer review. The internet and smartphones have opened many doors for us; providing a new world of opportunity of virtually endless data. The scale and types of clinical and experimental data is expanding daily. Successfully integrating this data into our research programs has become a powerful tool in many areas of research and disease. However, with this new opportunity comes risk. How do you know which sources to trust and which not to trust? How can you be sure you are getting the full picture when you haven’t reviewed all of the relevant information? Many news headlines and even news stories are designed to capture attention, as opposed to accurately reflecting the researcher’s findings. These articles often fail to accurately present study limitations and can mislead the public and researchers. The focus of this year’s Child Health Research Days (CHRD) conference is to critically appraise sources of data and to be better able to integrate large data into your research design. Whether you are an expert or a beginner, this conference will present good practices everyone should be aware of to access and integrate data. We hope to arm this year’s CHRD attendees with the tools and approaches needed to navigate this information avalanche. 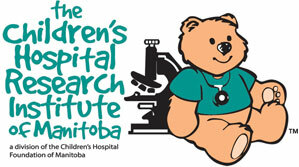 The Children’s Hospital Research Institute of Manitoba (CHRIM) was established in 2001. CHRIM is the research division of the Children’s Hospital Foundation of Manitoba. At the Institute, more than 270 world-class pediatric medical researchers, technical staff, students, and support staff are involved in over $10 million of research and clinical trial activity each year. CHRIM is the only research facility dedicated exclusively to pediatric research in the prairie provinces.